ATC Love. There was a bunch a guys that I believe the participants want to say thanks to. They initially stationed themselves at 3rd Ave, where we were about to hit the long flyover. And they stayed in the same area (Rizal Dr) and continued on cheering everyone and even giving a nice cool spray of water on our faces. I thought they were part of AdEvents crew but later found out that they were ATC runners. Thanks for providing the much needed support! Overall, it was a no-frills event with a few kinks here and there. The important thing is that no one got hurt (safety is important!) during the race and a good amount goes to Greenpeace. 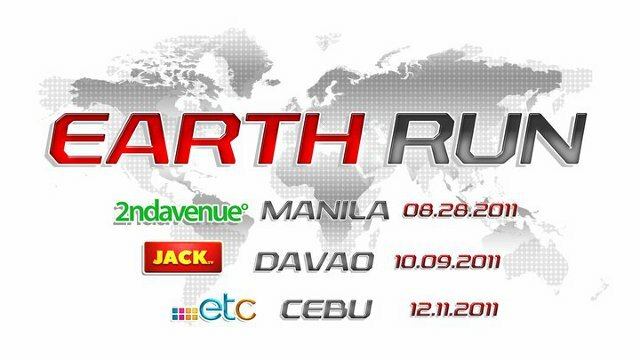 I look forward to next year's Earth Run. If time (and money) permits, Cebu and Davao legs can be considered as well.